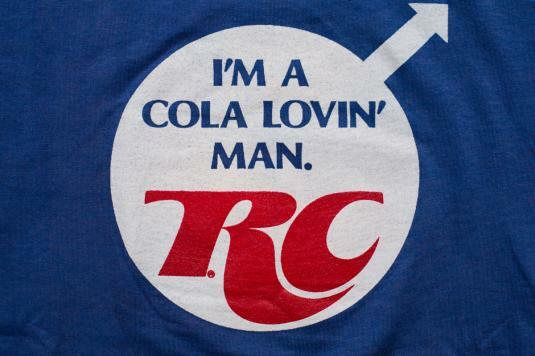 Vintage 1980s RC Cola "I'm a cola lovin' man. I'm looking for a cola lovin' woman." t-shirt; made in USA. It has an original Screen Stars brand tag. The shirt is in excellent vintage condition and seems to be unworn. ?????? ???????? ?????????? y ????????? ? ??????? ????????? ??? ???????? ????????? ?? ?????? ????? ??????????? ????????? ????????? ?????????? ?? ??????? ?? ????? ?????????? ????????? ???????? ?????????? ?? ???? ?? ?????? ?????????? ????????? ?????? ????? ?